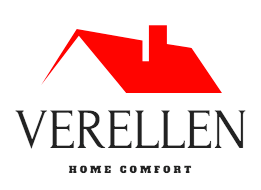 Getting ready for a long fall season, an invasion of dry leaves and dropping temperatures? Whether you use a backpack blower or a handheld unit, doing it for the first time can be tricky. Experience comes with time, of course. But then, you will most likely learn from mistakes. However, a little research can help you take a shortcut and learn before you even make mistakes. So, what are the most common leaf blower techniques newbies should know when using backpack blowers for the first time? It takes a few failed attempts to realize that wind can be your best friend, as well as your worst enemy in this venture. Make sure you use it in your advantage then. Analyze the blowing direction and blow in the exact same direction. Otherwise, it will undo your work, so everything you do is in vain. Lots of newbies overlook the importance of going towards one direction. In fact, when using a backpack blower for the first time, most people would start in the middle and move debris towards the fence or a corner. A professional, on the other hand, will never do it this way. In fact, it is more efficient to blow debris from the edges towards the middle. Divide the garden in a few different sections and they will come together in no time. 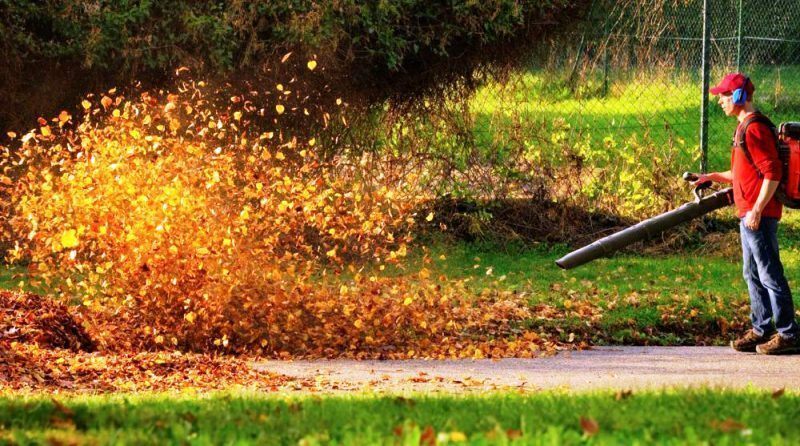 While the amount of work is practically the same, dividing the garden into small sections is one of the most popular leaf blower techniques. It just helps with the organization. Overall, you will manage it much quicker. Come up with more small piles of debris, rather than a massive one in the middle of the garden. Also, when gathering leaves for the bin, it would be smart to blow them on a sheet. Transportation is a breeze then. Most backpack blowers come with different speeds for a reason. When on a hard surface, you have to use a lower power. Use the highest settings and they will fly everywhere. Instead, it is much easier to keep debris under control. Remember that higher speeds also mean more noise. You will need hearing protection, as well as safety goggles against debris. 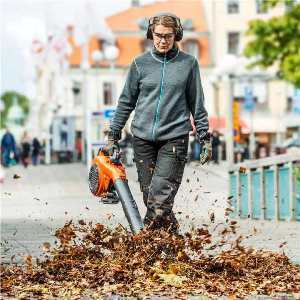 Not sure when to blow leaves and debris? Do it on dry days only. If debris and leaves are wet, they will be heavier. Also, they will stick to the ground, so moving them around will be extremely frustrating. 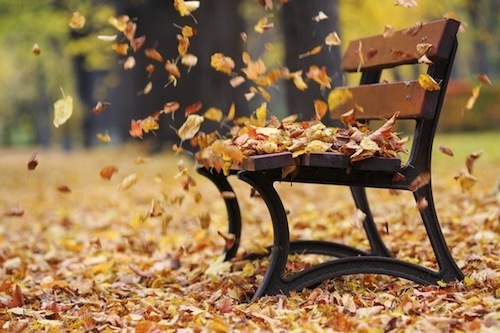 Even if the day is dry, do not attempt blowing after two weeks of everyday rain, as the debris is probably still wet. As a short final conclusion, these are some certain leaf blower techniques, tips and tricks that everyone should be aware of. Obviously, most newbies will struggle during their first attempts and will learn from their own mistakes. But how about doing your homework first and avoiding those mistakes in the first place? A little education will simply make your life easier.